Download this FREE eBook, and learn about all of the natural drug-free ways to treat and cure allergy and asthma problems. Download it now! 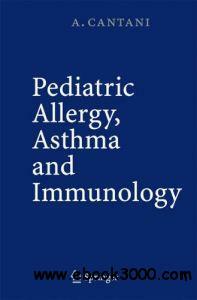 Pediatric Allergy, Asthma and Immunology reflects the rapid progress in one of the most intriguing fields of medicine. The book offers state-of-the-art information on basic immunology, fetal-neonatal immunology, genetic and environmental predisposing factors, epidemiology and natural history of atopic diseases, and allergy diagnosis. Extensive coverage is devoted to skin conditions and food allergy, asthma, rhinitis, specific immunotherapy, eye disorders, sinusitis and secretory otitis media, drug allergies, and anaphylaxis. Fascinating chapters explore such topics as autoimmune diseases, primary immunodeficiencies, pediatric HIV infection, malnutrition and the immune system. Finally, a chapter on prevention of the atopic march indicates how effective early intervention may greatly decrease the upsurge in atopy. Easy to understand and easy to use, Pediatric Allergy, Asthma and Immunology is essential reading for medical students, practicing physicians, allergists, immunologists, and researchers. What is Cloud Computing? Wikipedia defines it as the provision of computational resources on demand via a computer network. Users or clients can submit a task, such as word processing, to the service provider, such as Google, without actually possessing the software or hardware. The consumer's computer may contain very little software or data (perhaps a minimal operating system and web browser only), serving as little more than a display terminal connected to the Internet. Since the cloud is the underlying delivery mechanism, cloud based applications and services may support any type of software application or service in use today. Cloud computing is all the rage. "It's become the phrase du jour," says Gartner senior analyst Ben Pring, echoing many of his peers. The problem is that (as with Web 2.0) everyone seems to have a different definition. As a metaphor for the Internet, "the cloud" is a familiar cliché, but when combined with "computing," the meaning gets bigger and fuzzier. Some analysts and vendors define cloud computing narrowly as an updated version of utility computing: basically virtual servers available over the Internet. Others go very broad, arguing anything you consume outside the firewall is "in the cloud," including conventional outsourcing. 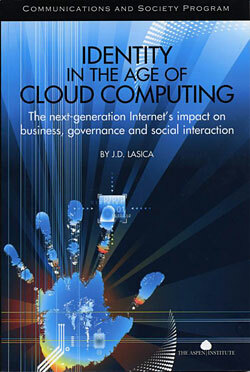 Get your free e-book: Cloud Computing from Microsoft. As we already know that all big organizations are shifting towards Cloud Computing and everyone is talking about the cloud, so here to an Industry shift towards cloud is from Microsoft Buisness Resource Center and is providing a free ebook on "Cloud Computing". Just explore the cloud and get your own free ebook. This ebook can also be read online which is created fully in Silverlight. You'll experience the power of Silverlight while reading the ebook and will gain a new knowledge about it in addition to the cloud. 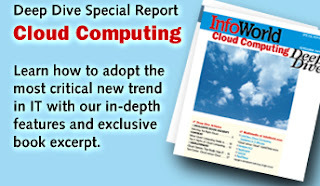 The public may not be familiar with the term, but many are already doing cloud computing. We have been using Web applications for years without any concern about where the applications actually run. The Pew study found that 69 percent of Americans connected to the Web—and especially younger users—already use some kind of cloud service, such as Web email (Gmail, Yahoo! Mail or Hotmail), online data storage (IDrive, Mozy, Box.net) or online software. The solution to your sinus problems can be found right at your doorstep. Sinus Home Remedy presents a free e-book: How To Bury Your Sinus Problems For Good. Download the book and enjoy life again. Filling a gap in the literature, this reference provides concise and practical guidelines for the diagnosis and management of sinusitis and furnishes an authoritative outline of our current understanding of the pathophysiology of this condition. Addressing a wide spectrum of issues related to the identification, epidemiology, and etiology of sinusitis, this guide presents detailed illustrations and flowcharts to clarify the interactions between the pathological and physiological processes of sinusitis and illustrate current treatment practices. From a leading expert at one of the world's most respected medical schools----learn how to beat sinus infections once and for all Nobody needs to tell you how painful and annoying sinus problems can be--the pounding headaches and congestion, the perpetually runny nose, and the debilitating fatigue, not to mention sleepless nights, lost work, and ruined vacations. Now you can do something about it by learning what a top expert tells his patients.